I have worked closely with Carlo over several years while managing Control Risks' PRIME service (the firm's political risk monitoring platform). Carlo has consistently been the team's most prolific contributor to the service. He has produced dozens of highly original, business-oriented and authoritative political risk briefs, dealing with a wide range of economic sectors in the Former Soviet Union, with a specific focus on Russia and Ukraine. His work has consistently attracted positive client feedback. 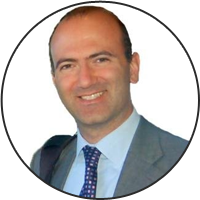 Carlo has also been very active and effective in interacting directly with clients and providing analytical support via email, phone or face-to-face meetings. In delivering excellent value to our clients, Carlo has consistently demonstrated reliability, dedication and professionalism and I am confident that he will excel in his future professional enterprises. During his six year in Control Risks’ Global Risk Analysis division, Carlo was our lead analyst for the high-profile Russia & CIS region. As such, Carlo was a key member of a team that has consistently exceeded its targets. Through many successful projects he demonstrated an excellent grasp of the politics and business environment of the Russia & CIS region. His work helped many of Control Risks’ clients take crucial investment decisions or monitor their security and operational risk exposure in the region. He developed an extensive network of contacts in the region, drawn from a mixture of academia, ex-government, journalism, ex-law enforcement and commerce. In the course of his work for Control Risks Carlo received client praise for a wide range of contributions - from incisive and timely short country briefs, to in-person presentations, from in-depth bespoke reports to speaking engagements at major client events. He was a regular expert commentator on regional risk issues at external conferences and in the international news media. Moving beyond his regional remit, Carlo also took the lead in the Global Risk Analysis team’s work on the general methodology of political risk analysis. Carlo was always very professional in the way he has conducted himself and approached his work diligently and methodically, proving himself to be a reliable and hard-working member of the team. He was unfailingly personable and courteous and as a result was popular amongst his colleagues and peers. An innovative online platform that helps organisation tap into a global pool of selected political risk specialists - quickly, efficiently, on-demand. Lead political risk analyst for Russia and other parts of the CIS. Helped dozens of FTSE100 companies make crucial investment decisions. Dr. Gallo has scoped, managed and delivered a wide range of complex and detailed risk assessment projects, virtually in all sectors of the Russian economy. Areas of expertise include political, operational and security risks to business. Assisted two professors with their research projects on voting behaviour and party systems in Western Europe. Helped their quantitative analysis of electoral data. Lectured and examined BA students on 'Soviet and Post-Soviet Russian Politics’ and contributed lectures to a Masters course on ‘Democracy in Comparative Perspective’. 2000-2003: Doctoral Research Fellowship, granted by the LSE Government Department. Three years of funding to cover living expenses while undertaking the PhD. 2000-2003: Grant from the Economic and Social Research Council (ESRC), to cover PhD university fees at the LSE. Highly commended thesis on the proliferation of independent candidates in the territorial district at legislative elections in Russia, 1993-1999. The thesis is available for download here. Activities and Societies: Modules taken include Multilevel Analysis, and Causal Models and Structural Equations, including training in the MLwiN software. Visiting student under the Tempus programme of the EU, as part of my PhD fieldwork. Superforecasting for Business: How Likely? Paper to be presented at the Superforecasting and Geopolitical Intelligence conference at the London School of Economics (LSE). Talk delivered at Swedbank’s Oslo and Helsinki offices. Over 100 senior managers from Swedbank’s clients attended the two sessions. This is the Russia chapter within the edited book "Managing Business Risk", which is published each year in hard copy and digital versions under the auspices of the Institute of Risk Management and the Institute of Directors in London. ‘Expert judgement’ accounts for much of the political risk analytical work carried out by practitioners, whether in a business-consulting or state intelligence setting. Relying on ‘expert judgement’ is inevitable because practitioners rarely have the time or data required for the application of more rigorous social science approaches. However, ‘expert judgement’ can and should become more rigorous by paying closer attention to social science approaches, in addition to relying on “structured techniques” and to fighting cognitive bias. In particular, I propose to use explicit causal models (ECMs) to structure the thinking process that goes into expert judgments. This method promises to improve the transparency of risk assessments, to enhance opportunities for peer reviews and for the systematic evaluation of their quality. While no method can guarantee accurate prediction, this approach can help decision makers discern which set of forecasts deserve what level of confidence. Published in March 2012, the article argues that Ukraine’s tug-of-war with Russia over the pricing of its Russian gas imports should be watched closely by the EU, which receives 20% of its gas supply via Ukraine and which suffered record supply disruptions in 2009, the last time a similar price dispute escalated. After having accepted Ukraine into its Energy Community in 2011, the EU is rightly making further financial and diplomatic support conditional on Ukraine liberalising its domestic gas market. Those reforms, however, run counter the interests of well-connected local business magnates. Coupled, with EU concerns over the jailing of Ukrainian opposition leader Yuliya Timoshenko, Ukraine’s resistance to reforms is cornering it into a difficult negotiating position with Russian Gazprom, which may well gain a stake in Ukraine’s gas transportation system (GTS) in exchange for a discount. Alternatively, Timoshenko’s release towards the end of 2012 may lead the EU to counterbalance Russia’s growing leverage. In any case, however, vested interests are likely to continue hinder the liberalisation of Ukraine’s domestic gas market, the only credible way to reduce energy security threats to the EU stemming from periodic Ukraine-Russia tussles.